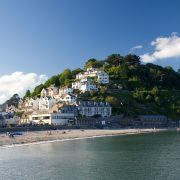 East Cornwall, home to the UK's only two Trust Harbours, Mevagissey and Looe, is defined by smuggling, tall ships and china clay. 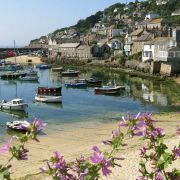 Many of the much-photographed harbours and ports along this stretch of coast began as tiny fishing villages only to be developed beyond all recognition during the 18th and 19th centuries to serve the huge quarries. Today, as industrial output is dramatically reduced, the ports that were built for it are successfully exploiting their innate charm to bring in the tourists, which makes them welcoming places for visiting yachtsmen. A deceptively sheltered coastal landscape of coves and rolling hills, most of these harbour settlements have lost loved ones to ferocious easterly gales and profited from them through wrecking and smuggling. Many remain heavily dependent on the sea for their livelihood, whether it be in the form of fishing, pleasure cruises or catering to visiting yachtsmen. The largest settlement on the coast between Falmouth and St Austell is Mevagissey, which is sheltered from the prevailing south-westerly wind by Dodman (Deadman) Head, named after the gallows for hanging smugglers that used to stand on top of it. 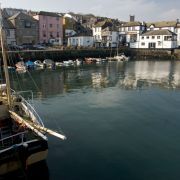 Mevagissey's advantageous situation meant that a thriving fishing industry had already grown up around a medieval quay by the time the Mevagissey Harbour Act was passed in 1774, allowing an inner harbour, which would protect the fleet from easterly gales, to be built. An outer harbour was added in 1888, only to be immediately destroyed by a blizzard and rebuilt in 1897. 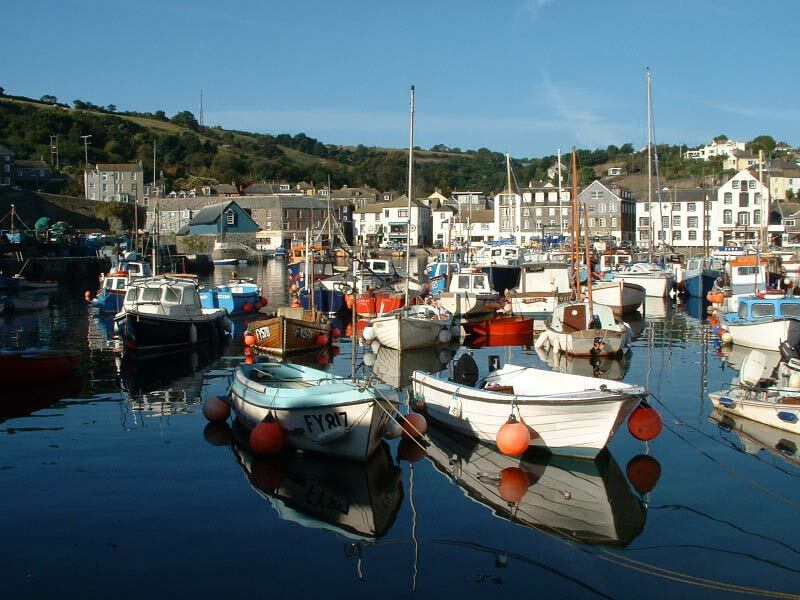 Today's Mevagissey is very much a working harbour and home to more than sixty registered fishing vessels, which have priority over moorings. 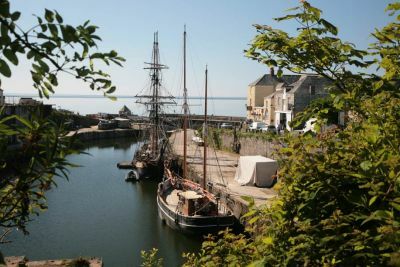 Although there are temporary berths in both the inner and outer harbour (moor alongside South Quay and report to the harbourmaster), they must be vacated immediately if they are needed by fishing craft. The harbour is well protected except during south-easterly gales, when entry becomes dangerous and it is advisable to continue on either to Fowey or to the hugely picturesque Charlestown, which was built by local entrepeneur, Charles Rashleigh, to serve the china clay industry. Another working port, Charlestown is home to a famous collection of fantastic-looking square riggers and a full-service traditional boatyard. There are sandy bottom anchorages outside the harbour as well as limited locked-in alongside berthing. Fuel and water is available upon request. 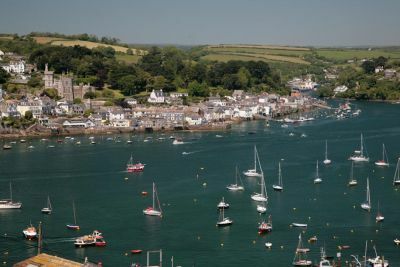 Continuing up the coast will bring you to Fowey, another superb natural harbour and one of Cornwall's primary sailing centres. 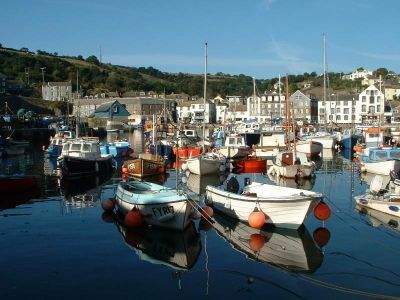 Big enough to avoid congestion, the harbour sits at the mouth of the long, navigable River Fowey whose numerous inlets and creeks extend north all the way to Lostwithiel, with deep water as far as the north end of Wiseman's Reach. Fowey's deep harbour, which offers easy entry between St Catherine's Castle on the west side and the headland of Polruan on the east, is ensuring that increasing numbers of cruise liners are gradually replacing the huge china clay cargo boats, whose skilful comings and goings remain an impressive sight. 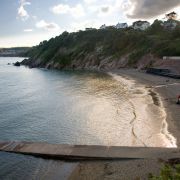 The harbour is accessible at all tides and in all weathers and is normally very sheltered, although there can be a fair bit of swell in the lower end during strong southerly gales. Although there is no marina as such at Fowey, there are plenty of mooring pontoons as well as several visitors pontoons, and the harbour master will usually find room for you somewhere, even during the hugely popular regatta. Visitor's moorings are white and marked FHC Visitors. There are also two short stay pontoons close to the centre of town at Albert Quay and Berrill's Yard. The pontoons are free for two hours only and there is a fine for those who overstay their welcome. Anchorage is also possible but only with the harbour master's permission. Fowey is home to two yacht clubs, the Fowey Gallants Sailing Club, which welcomes visitors to its bar and showers, and the Royal Fowey Yacht Club, with great views across the harbour. 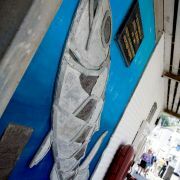 WiFi is available in the lower harbour and a water taxi runs from the town to Wiseman's Creek. 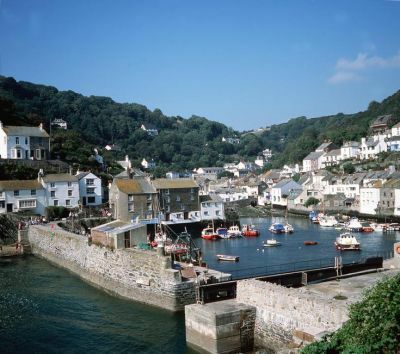 Heading up the coast from Fowey will soon bring you to Looe, a picturesque fishing town and one of the only stopping-off points between Fowey and Plymouth. Looe, which received it's first charter in 1278, is steeped in the heritage of piracy and home to one of Cornwall's biggest fishing fleets. 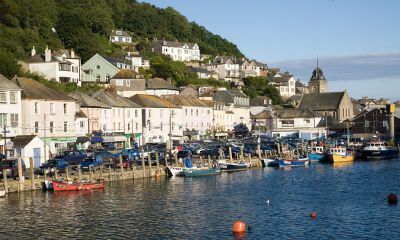 East and West Looe stand on either side of a tidal river (navigable for around two miles by craft under sixteen feet - a bridge conveniently stops larger boats), that goes all the way to Liskeard. Commercial activites preclude anchorage in the middle of the harbour, although there are anchorages two meters east of the pier in settled weather or offshore winds. Boats can enter the harbour with the tide and dry against the vistor's quay in firm sand (subject to communication with the harbourmaster) or make use of a quayside berth, marked yellow, on the port-hand side. 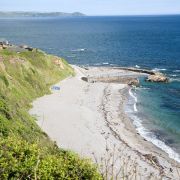 Entry is uncomplicated, the only obstacle being Looe island, which lies just three hundred metres from the harbour entrance. Continuing up the east coast will eventually bring you to the River Tamar, which marks the border between Cornwall and Devon. On the way out of the county it is well worth stopping over at Torpoint, whose marina stands just inside the western bank of the river, facing Plymouth's great naval dockyard. 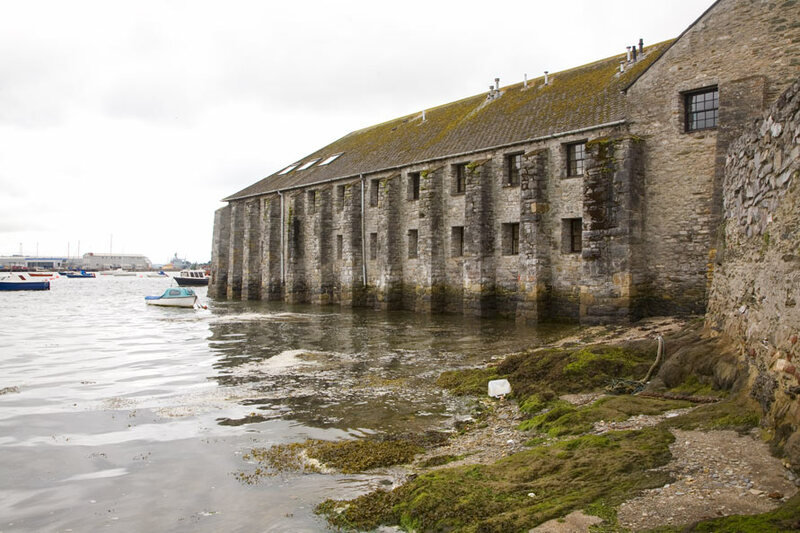 Not a holiday resort in the same way as Mevagissey or Looe, and with no harbour as such, what makes Torpoint interesting for sailors is the two hundred year old Ballast Pound, a scheduled ancient monument that has been developed into a marina which can take up to a hundred craft.